Forget Houston, “Feline, we have a problem!” When kitty’s litter box has more of a stench than a scent, it’s time for drastic measures. Fortunately, you don’t have to be a rocket scientist to effectively deodorize and disinfect cat box smells. Here are some suggestions on how to keep cat litter odor from orbiting your home. 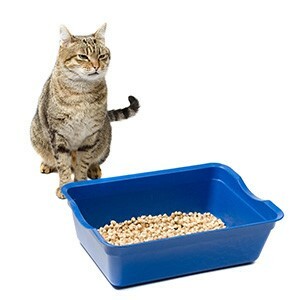 When it comes to litter boxes, every cat needs one plus one. That means, one cat needs two boxes, two cats need three boxes, three cats need four boxes, and so on. If you live in a multi-level home, it’s best to have a box on each floor. But no matter where you reside, make sure the litter boxes are located in well-ventilated areas. Placing litter boxes in small enclosed spaces will only concentrate the litter and emphasize the odor. 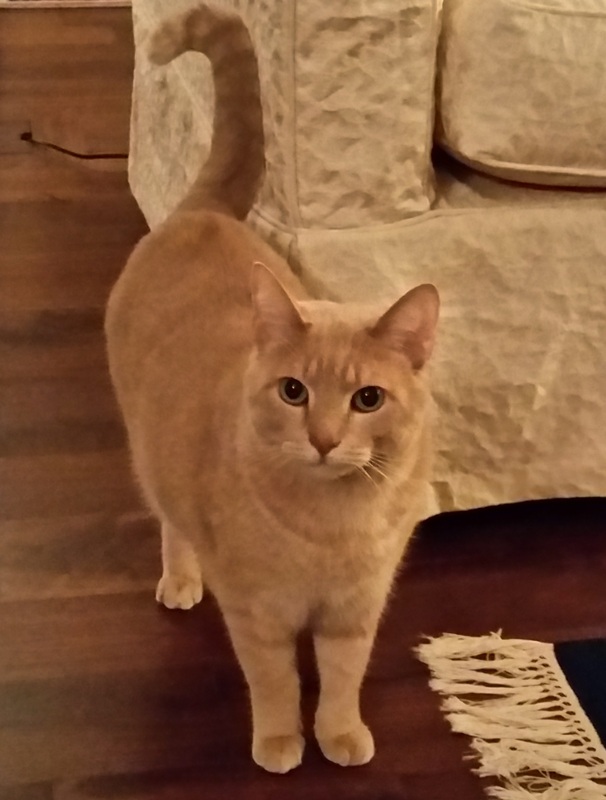 When it comes to finding the right spot for kitty’s litter, use the golden rule. Would you like to go to the bathroom in a high traffic area or next to your food or your bed? Of course not and neither does your cat, so make sure you find a secluded yet airy spot for each litter box. Since your cats are the ones using the litter boxes, let them decide which brand of litter and the kind of box they want to use. Some cats don’t like boxes with hoods as it cuts down on ventilation, while other cats may prefer the privacy hoods afford. If you have one of each, you’ll be able to see which one is used more often to determine your pets’ preferences. The same holds true for litter. Fill each cat box with a different type (clumping, non-clumping, scented, unscented, etc.) to see which one is the cat’s meow according to your pets. Scoop your cat’s litter box at least twice a day to reduce cat box smells. Make it a habit to sift the box every time you leave the house. When you head out in the morning, or when you go out at night, it doesn’t take much effort to take out the cat’s trash on your way out. Your pet will appreciate it as will you on your return home. In addition to scooping twice daily, you’ll need to regularly replace the litter. Non-clumping litter must be changed once a week, while some brands of clumping litter can go a little longer (make sure to read the instructions on the packaging). When replacing the litter, wash the box and scooper with a mild dish detergent after you discard the old litter and spray with a disinfectant. Once the box is dry and clean, refill with 2-3 inches of new litter. To ensure the litter boxes and scooper are in good condition, replace them every year. Many people try to mask litter box smells by layering on a heavily-scented deodorizers made of caustic chemicals. Not only are these brands ineffective at eliminating the bacteria that causes the bad odor in the first place, they are actually harmful to your pets. Using the newest technology in microbial solutions, Odor Smarts is a cat litter box deodorizer and sanitizing spray that is effective yet doesn’t endanger the health of your pets. Odor Smarts’ EPA-registered chlorine dioxide features a patented reaction that neutralizes cat box odors and disinfectants up to 99.9999%—killing bacteria including Staph, MRSA, E. Coli, Salmonella, fungus, mold, mildew and viruses. To learn more about disinfecting and cat box odor eliminating powers of Odor Smarts, visit OdorSmarts.com. And more great ideas for fighting cat litter odor can be found here on WebMD.